The Maryland Department of Natural Resources welcomed 1,227 hikers at more than 30 state parks this New Year’s Day as part of the annual First Day Hikes initiative. Maryland Park Service rangers, staff and volunteers guided the brave souls through 2,500 miles of paths and trails, where they confronted below-freezing temperatures and blustery winds. 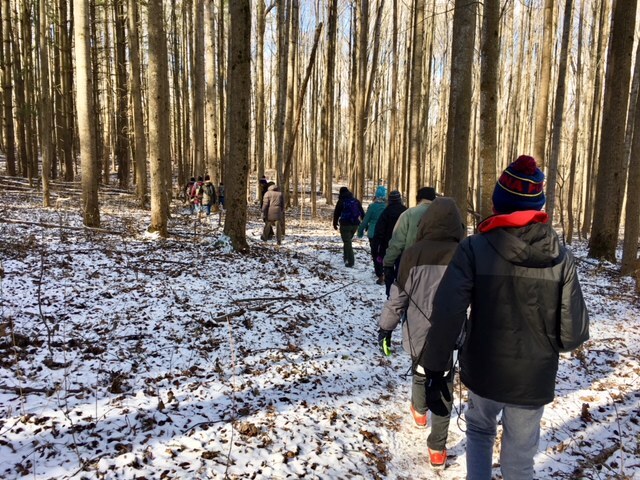 As part of the nationwide event, sponsored by America’s State Parks, Maryland hikers took in the natural beauty and scenery in parks throughout the state, from the sandy shorelines of the Eastern Shore to high perches of Mountain Maryland.